There haven’t been any more stories in the newspaper recently about removing the Forest Lake water fowl. Perhaps this because their fate hasn’t yet been decided on? Some have laid the responsibility for the small outbreak of West Nile Virus (WNV) in the area surrounding the lake at their webbed feet. 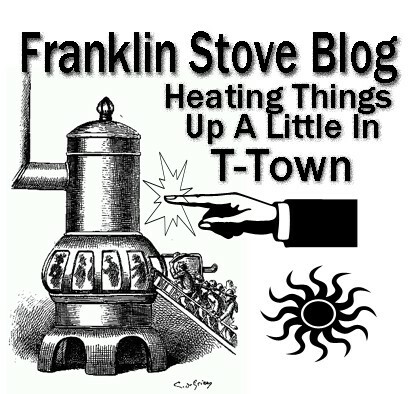 A comment on the last Franklin Stove Blog claimed that there was little likelihood of mosquitoes being infected because of the water fowl. Please follow the link scroll down, and view the table in the the section entitled “Species Susceptibility and Competence” regarding birds that might carry the WNV. The probability of Canada geese infecting mosquitoes—NOT HUMANS—with the WNV is negligible. Your statement that “if a dead bird at Forest Lake is ever found to have died due to the WNV there might be sufficient cause to remove them,” is completely misguided! WNV infection is never a “sufficient cause” to remove the geese from Forest Lake. If one blue jay in Forest Lake is found to have died from WNV, are you going to recommend that all the blue jays in Tuscaloosa be removed? Nonsense! To suggest such an action regarding the geese shifts the focus from the true source of WNV in humans—infected mosquitoes—to removal of geese from the lake. The whole of available resources should be focused on eradicating mosquitoes, not on removing geese even if one or more of them tested positive for WNV! The mosquitoes that might have bitten the infected geese and contracted the virus from the geese should be the target, not the geese. Your statement about removing the geese that test positive for WNV only adds to the dissension and misinformation surrounding this unfortunate episode. An apocryphal story about the origins of the Forest Lake Muscovy ducks is that Forest Lake homeowners and others would buy cute ducklings for their children on Easter and when they tired of them would release them at the lake. That geese populate the lake is attributed to the destruction of the trees that grew around the lake by the tornado that savagely whipped through T-Town in 2011. Canadian geese were then drawn to the denuded body of water. Other such small lakes which never were stripped of trees in T-Town have had no such visitation of migrating fowl. In late summer 1999, an outbreak of human encephalitis occurred in the northeastern United States that was concurrent with extensive mortality in crows as well as the deaths of several exotic birds at a zoological park in the same area. Complete genome sequencing of a flavivirus isolated from the brain of a dead Chilean flamingo, together with partial sequence analysis of envelope glycoprotein (E-glycoprotein) genes amplified from several other species including mosquitoes and two fatal human cases, revealed that West Nile (WN) virus circulated in natural transmission cycles and was responsible for the human disease. Antigenic mapping with E-glycoprotein-specific monoclonal antibodies and E-glycoprotein phylogenetic analysis confirmed these viruses as WN. This North American WN virus was most closely related to a WN virus isolated from a dead goose in Israel in 1998. Information on the prevalence and outcome of WNV infection among most waterfowl species is currently limited and pertains mostly to domesticated (i.e. farmed) geese. WNV-associated mortality was first documented in waterfowl shortly before the introduction of WNV into North America, when farmed domestic geese in Israel proved highly susceptible to fatal WNV-associated neurologic disease. The technical information on the transmission of WNV by geese seems to be derived from cases of farmed birds. The density and numbers of the geese involved was certainly not duplicated in the Forest Lake area. Since infection debilitates geese within a short time could infected birds have flown from Canada to T-Town? In some communities, Canada geese are rounded up and killed because people find them to be a nuisance, particularly when goose droppings accumulate. Federal law protects Canada geese, and nearly all bird species in the U.S. However, that only means people cannot harm birds without U.S. Fish and Wildlife Service (USFWS) permission. … In some cases, USFWS gives individual permits to kill geese on one property. [This] may provide a temporary fix, but in the long run roundups just free up prime real estate for more geese to move in to. The best way to solve conflicts with Canada geese is with a multi-pronged plan that humanely reduces the goose population and changes the habitat so it is less attractive to geese. In some cases, USFWS gives individual permits to kill geese on one property. On and near airports, USFWS regulation gives broad permission so individual permits aren’t required. Permits do not authorize intentional cruelty, either when birds are being rounded up or at any other time. The best way to control geese populations in an area such as Forest Lake is to provide a less inviting habitat. It would require time for trees to grow large enough to be effective. The idea of removing geese because of a problem with domesticated geese having been infected with WNV seems to many people unnecessary. The detection of WNV infected mosquitoes in and treatment of drainage areas is the path to public safety. There are a number of parking lots in the Forest Lake area. Stagnant catch basins provide a perfect place for mosquitoes to breed. How well sources of WNV disease are researched and findings contribute to the base knowledge, the more likely education can increase prevention. Investigating combined sewer overflows, sanitary sewer overflows, mosquito abundance and flight range, provide significant impacts on the risk of human WNV infection. Doubtlessly the drainage in parking lots in the Forest Lake area will be a prime concern of the city.